The President's most important duty is that of Commander in Chief of our nation's military - defending the United States, its territories and possessions, and its armed forces from attack, both foreign and domestic. Throughout our nation's history, no President has wielded the authority of Commander in Chief as well as George Washington, Abraham Lincoln, and Franklin D. Roosevelt. As the Commanderin Chief of the Continental Army, George Washington was the one person whose determined sense of patriotic duty and unserving dedication to independence made our nation possible. Abraham Lincoln's only military experience had been as captain of a militia unit that saw no action in the Black Hawk War, and yet he utilized an innate sense of strategy and his power to remove and select commanders toend the Civil War that threatened to tear our nation apart. As President throughout much of World War II, Franklin D. Roosevelt left the military strategy to his generals, and put his skills to use onthe domestic front to galvanize the entire nation in support for wartime efforts abroad. Undoubtedly, the most stressful part of the President's responsibilities is the role of Commander in Chief where he must weigh the risk of American lives against every threat to our nation so the American way of life will be protected for future generations. Now you have the incredible opportunity to add silver-plated masterpieces honoring these great leaders to your own collection with this beautifully presented set. 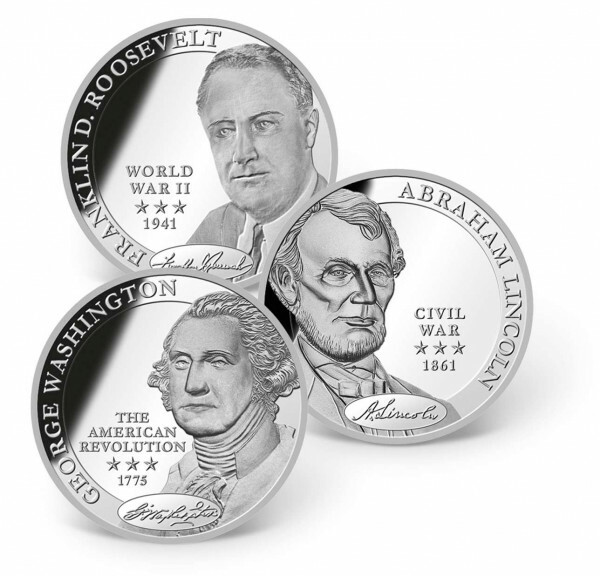 This exquisite set is comprised of three coins - each plated in .999 pure silver - honoring our nation's most brilliant Commanders in Chief: George Washington, Abraham Lincoln, and Franklin D. Roosevelt. These AMERICAN MINT EXCLUSIVE coins are minted to the highest quality "Proof standard and come in a beautiful wooden collector box, custom-crafted to preserve and display your silver-plated coins for generations to come. Adding to its exclusivity, production of this amazing set is strictly limited to only 2,500 sets worldwide. 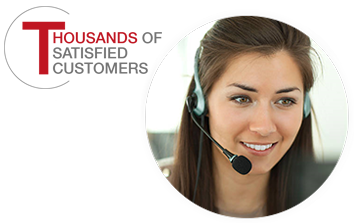 As with every item American Mint offers, your satisfaction is 100% guaranteed.